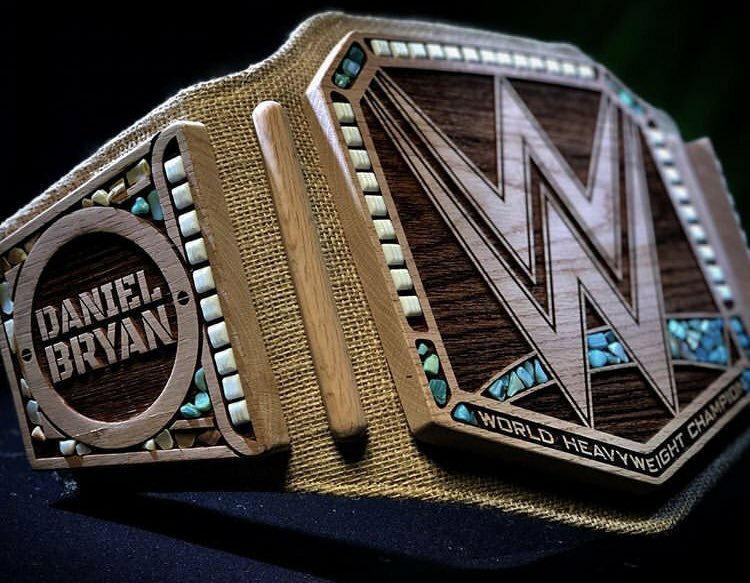 So this is it... the eco-friendly WWE World Heavyweight Championship belt... and it's already more distinguished than the toy belt held by Abeyance. In all seriousness, I love this belt; it's wonderfully hideous. It's a creative twist to the custom title, looks somewhat homemade despite the wood panels, and probably stinks a weed bit. And while this might seem like a joke for some folks, at the very least, when Daniel Bryan Danielson eventually loses the title, we'll simply revert back to the previous title belt and move on with our lives. That red belt, on the other hand? Then, now, forever... a joke.